For those who really know me, know that in 2004 I had a life changing epiphany that completely altered my life practically overnight. The life changing moment was spawned by a breakup which affected me so much at that point in time, that I passionately prayed to God later that night to help me live a better life. The next morning seemed very strange to me from what I recall. On my drive to work I noticed that either my eyesight got better or everything seemed more high definition That was my first clue that something changed. Later that day I read the first book of my life from cover to cover in a single day. The book was Rich Dad Poor Dad and I literally decided to change my career path right after I read it. So how does a computer engineer change into a carpenter? LOL, long story but let's just say that for the first time in my life I really felt like I can do anything and that was a very powerful feeling! In 2004 I read many many books and none of them were about computers which for me was odd because I never really read for pleasure other than car magazines or computer magazines. These books in one way or the other introduced me to a new life. A life based on the power of thoughts and how they could influence your life in a very dramatic way. These books at first glance seemed intriguing but back then I was very negative and very skeptical. I was also a very scientific and analytical type of person. I tried out these techniques on my life and sure enough I gathered many amazing results. There was a point in my life where my friends refereed to me as a magician simply because I would make things happen for me that would seem almost magical in nature. From the best parking spaces in parking lots with thousands of spaces at Pfizer, to receiving money spontaneously for a $500 timing belt job on my Acura. I was pretty much a wizard overnight and soon I wanted to change all of my friends and family to become just like me. As you can imagine that was not the smartest thing to do and eventually all of my mystical powers dwindled as I soon started to believe in the doubts of my friends and family members, who didn't believe. Well long story short, I've learned a LOT of what to do and what not to do when it came to mastering the power of manifesting what you want in life. One of the biggest lessons I've learned is that you should keep your mouth shut about the goals you're working on. I strongly believe that we loose our ability to manifest something, when we tell everyone about it and then one day perhaps in a moment of weakness we believe in their doubts about our plans. For years I've been keeping 90% of my goals and dreams to myself and sure enough I'm back to my magical ways. For what should seem like obvious reasons, I will not discuss my current goals, but I will tell and prove to you that I am successful and the Law of Attraction is a big part of my success. 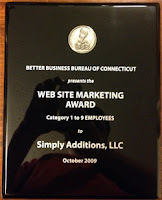 http://www.simplyadditions.com/Table/Awards/ Keep in mind that I competed against all businesses in Connecticut of my size for these awards and I've beat them every year! Due to economic reasons I had to close down my physical business, which ended up being a very great thing because now I actually work from home doing what I love to do! Closing down my extremely stressful business also improved my health 100%. So since the beginning of 2010, I have been determined to make a living from home doing what I love, and using my secrets to help me succeed quicker. Google blessed me by allowing me into their YouTube Partnership program which allows me to make money from my YouTube Videos! Then I created a few other websites such as PancreatitisForum which is where I am actively trying to help people conquer a serious medical condition that I have made tremendous progress in conquering myself. I've also created a website where people could anonymously vent their personal secrets, because I believe that it's vital to improving ones health. 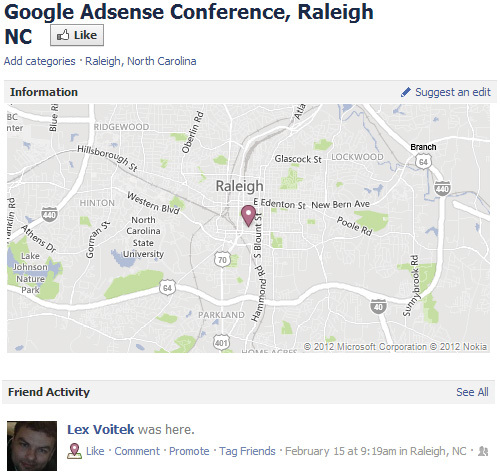 Thanks to all of my websites and my progress since 2010, Google invited me to an event in Raleigh North Carolina where Google Employees actually showed me how to make more money with them! This was no random event. 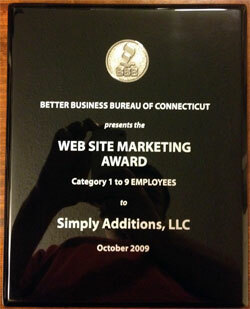 I actually had a goal written down to be in Google's Adsense Success Stories on their Adsense blog. Soon after the conference Google asked me to be in a a Google Hangout with a few other people because they wanted me to be in their Adsense Success stories on their blog like I wanted! I just wanted to be on their blog, but they made many commercials with me in them!!! One of them I posted below. Here's a video which Google just published yesterday, which features me talking about how Google Adsense changed my life and improved my health. I'm looking forward to talking more about this stuff with you guys, but first I want to see if any of you out there are interested in my law of attraction secrets. Below is my first video that I made which was basically a personal video I made for myself to help me succeed quicker. I never really thought about sharing my secret knowledge on the Law of Attraction until now. Now I'm really interested in seeing who else is interested in my Law of Attraction Secrets and how many of you are out there. I'd love to produce more videos, songs, and articles about which techniques I used, what techniques you should use, and so on. Hopefully I get a big response from you guys out there from my latest articles and videos. Here's My First Law of Attraction Video which I made for People Just Like YOU! I really do think this video can CHANGE YOUR LIFE if you take me 30 Day Challenge. Please watch it and watch it often to allow for my technique to do its work. Then please tell me about what changes you have went through because of it by commenting below this article or on my YouTube Video itself. I look forward to hearing about your results big and small.